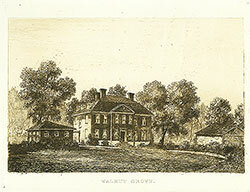 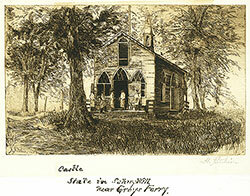 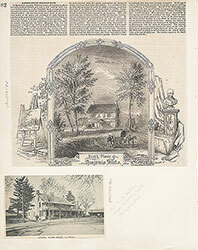 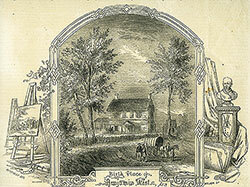 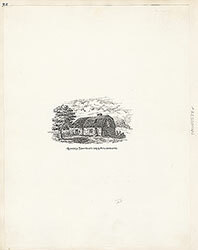 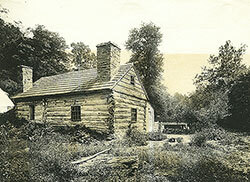 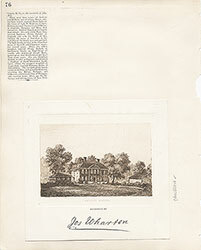 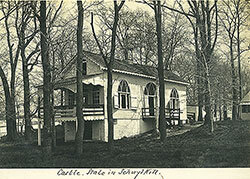 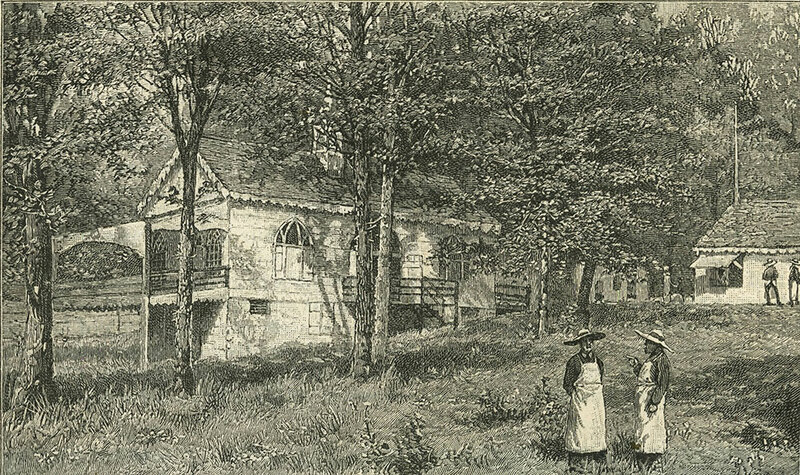 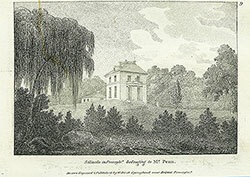 A pastoral depiction showing the Castle, the name given to the clubhouse of the State in Schuylkill Fishing Club. 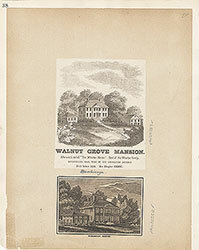 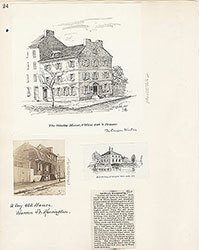 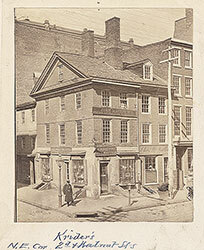 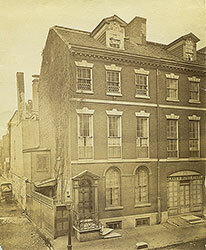 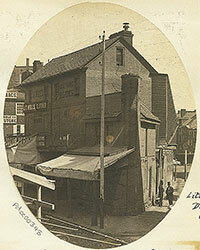 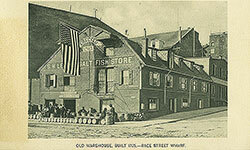 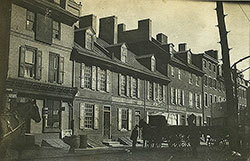 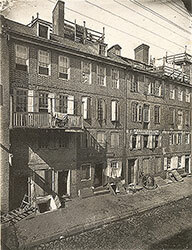 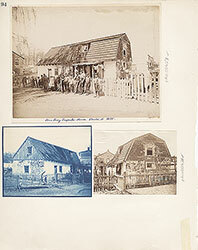 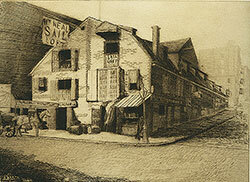 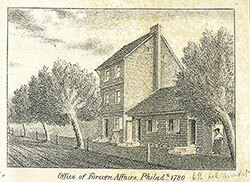 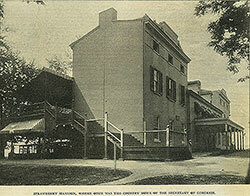 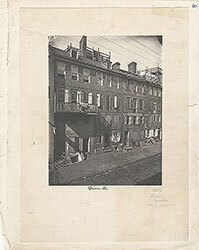 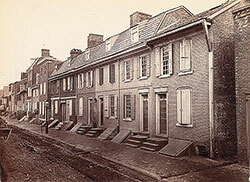 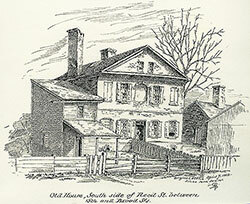 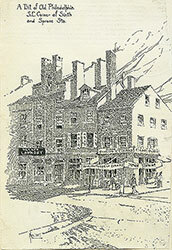 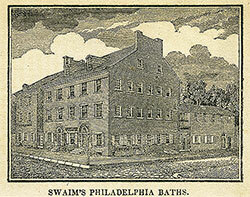 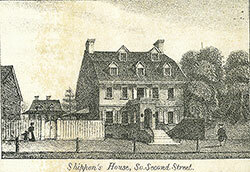 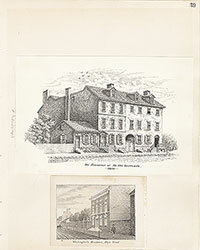 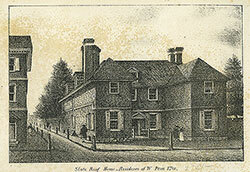 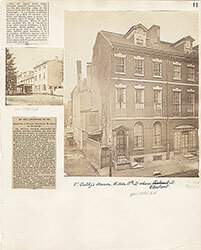 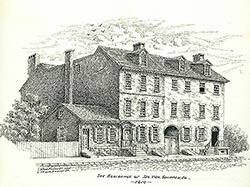 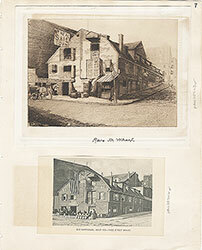 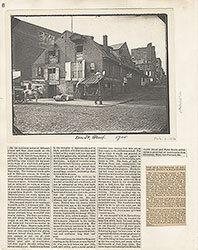 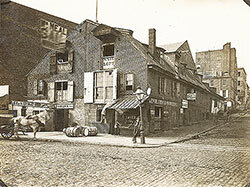 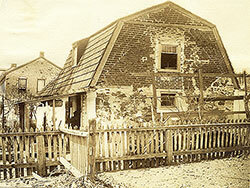 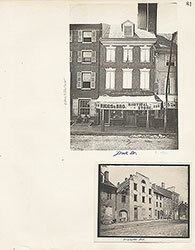 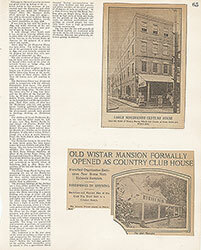 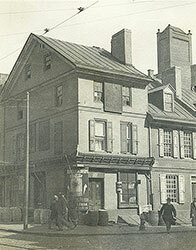 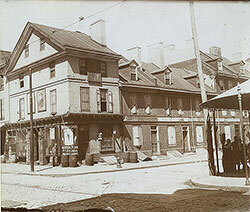 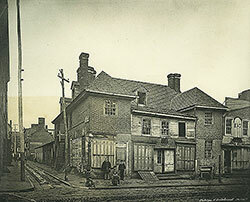 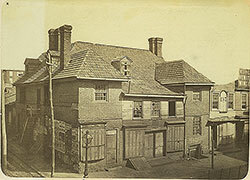 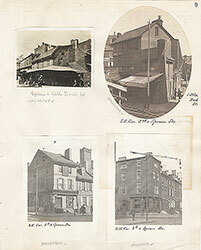 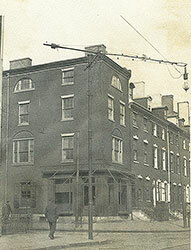 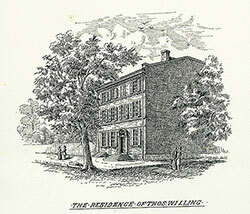 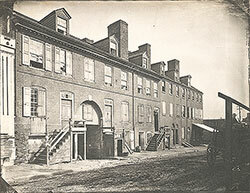 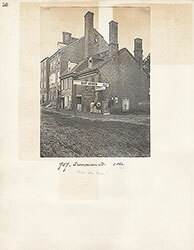 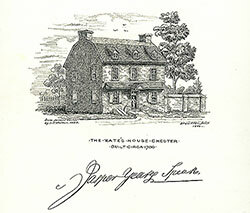 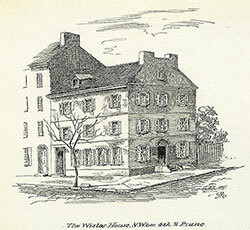 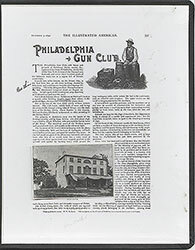 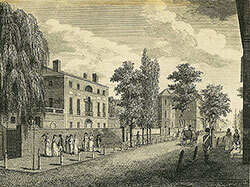 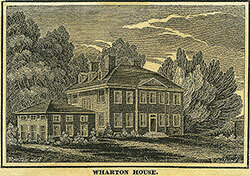 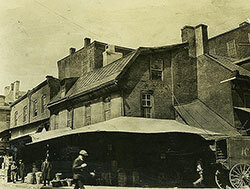 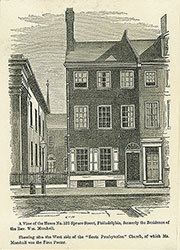 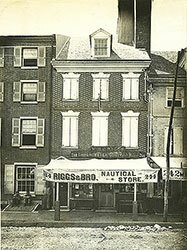 Formed in 1732, the club is believed to be the oldest social club in the United States. 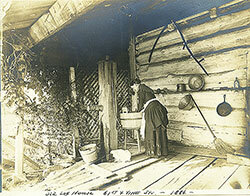 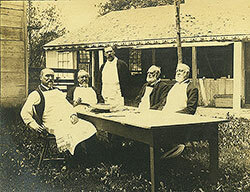 Two men in wide-brimmed hats and long linen aprons stand talking in the foreground, two others stand in the distance close to a building. 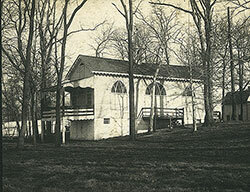 Trees surround the clubhouse, their leaves partly obscuring from view the cupola holding the bell, which was rung when announcing dinner. 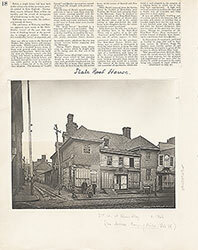 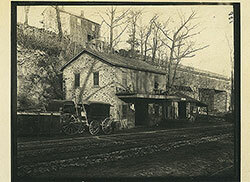 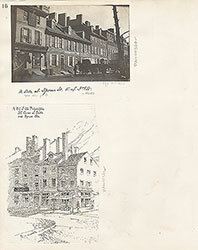 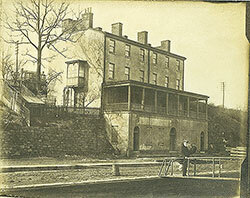 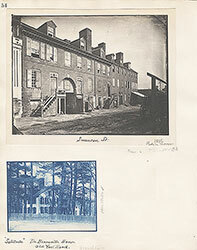 The original site of the Castle was opposite the falls of Fairmount, on the west bank of the Schuylkill River at Girard Avenue. 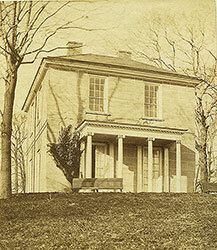 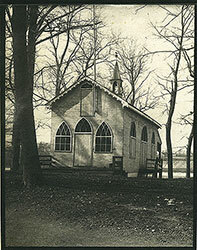 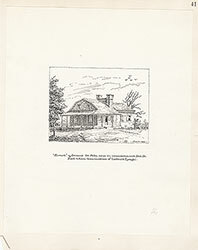 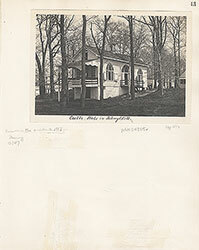 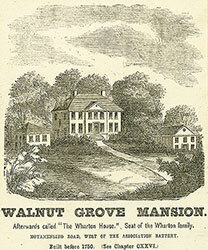 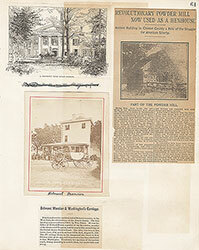 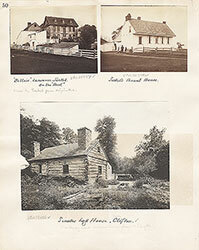 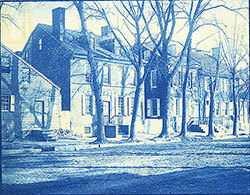 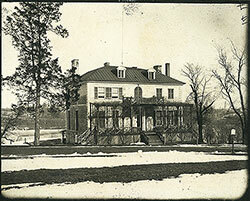 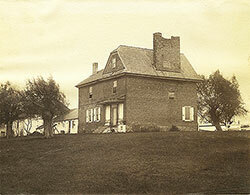 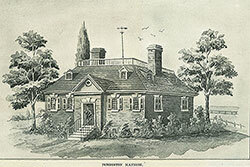 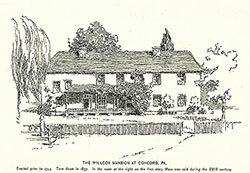 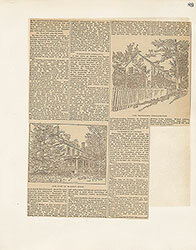 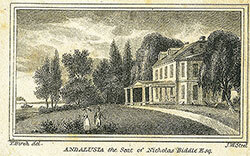 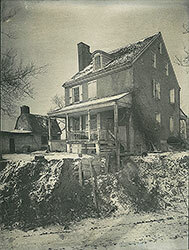 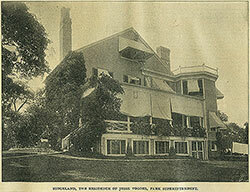 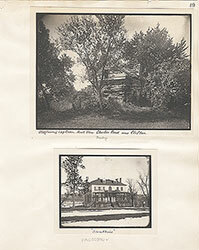 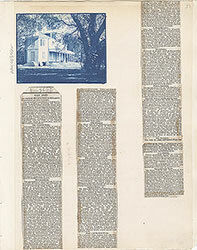 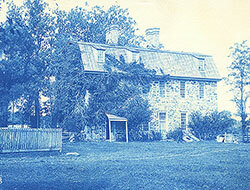 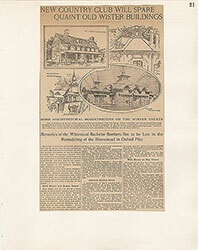 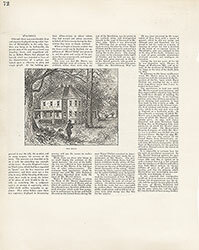 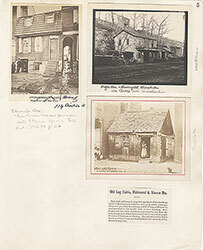 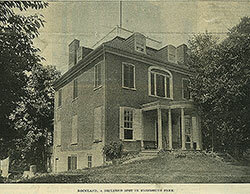 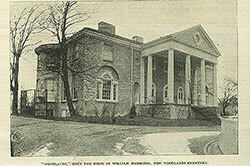 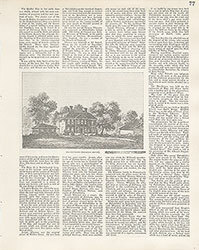 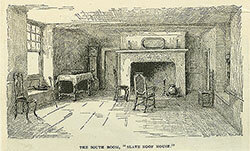 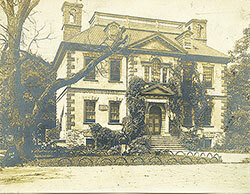 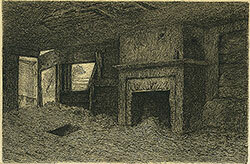 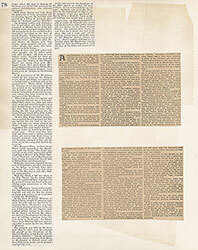 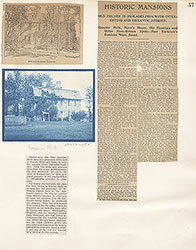 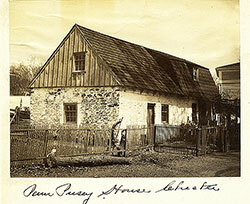 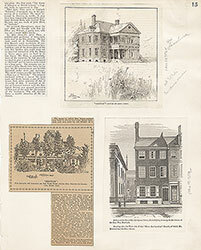 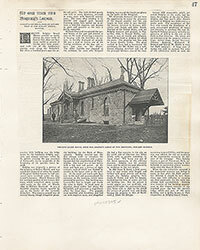 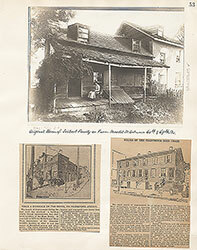 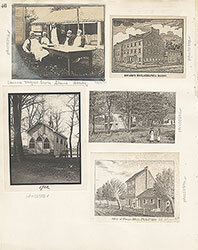 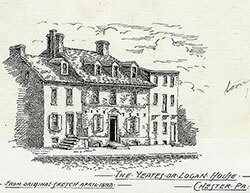 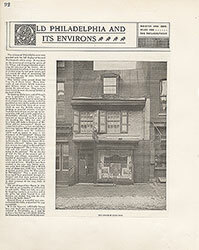 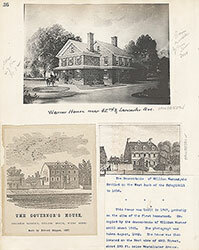 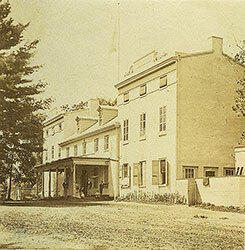 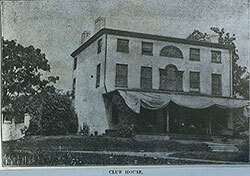 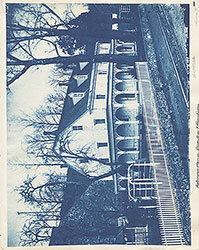 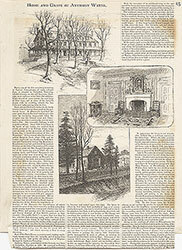 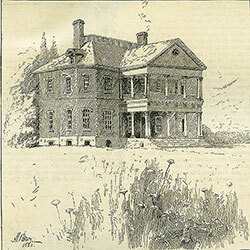 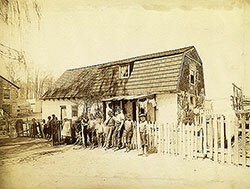 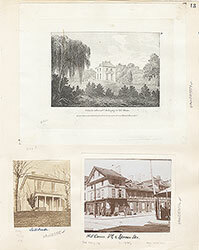 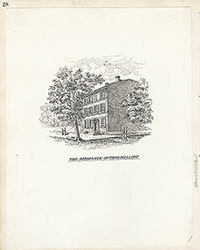 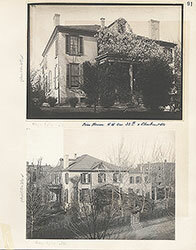 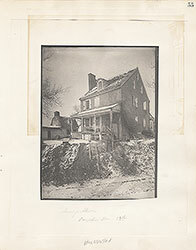 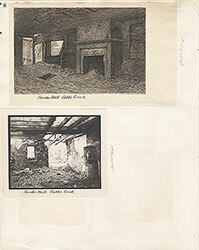 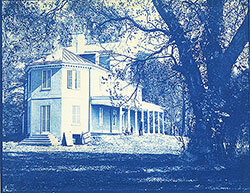 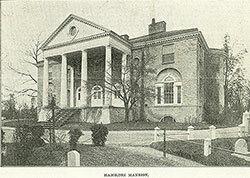 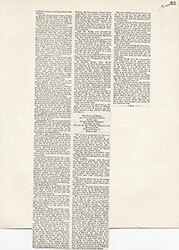 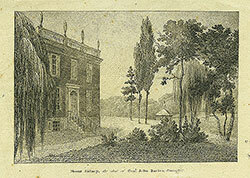 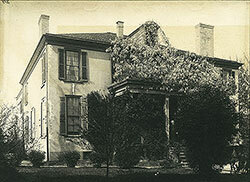 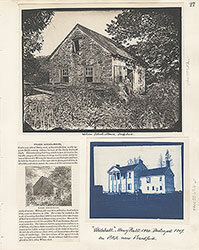 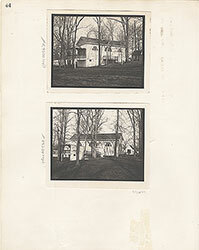 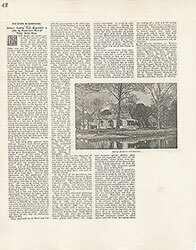 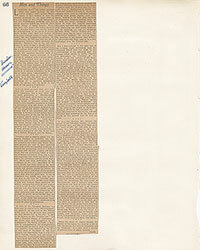 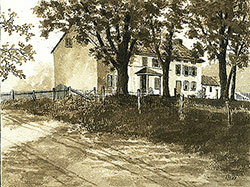 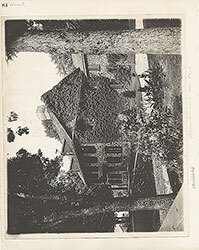 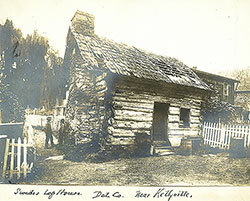 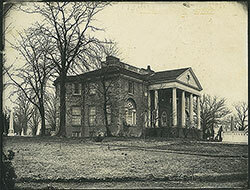 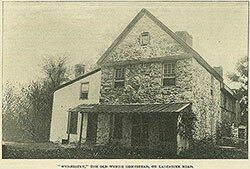 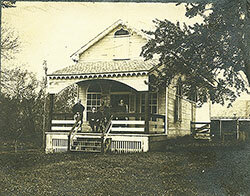 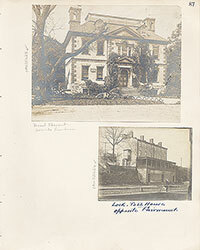 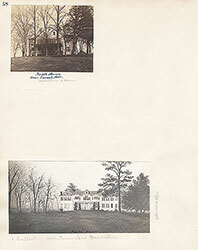 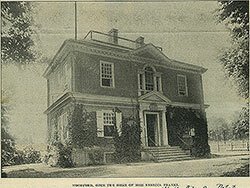 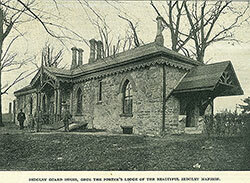 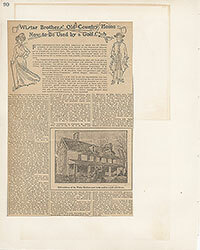 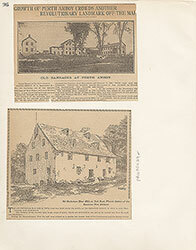 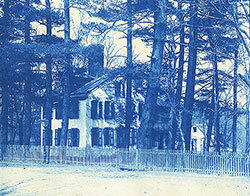 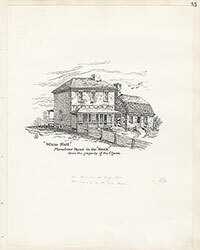 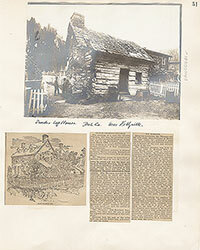 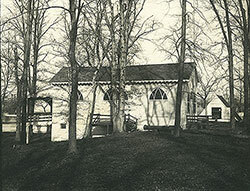 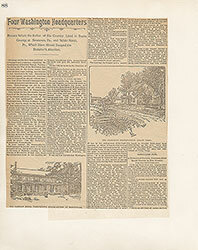 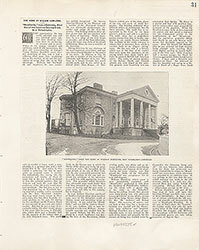 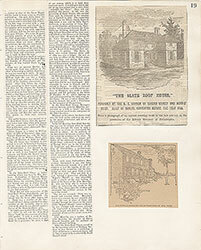 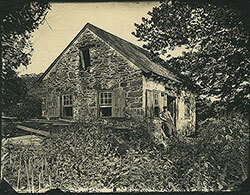 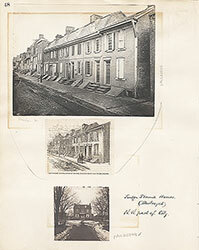 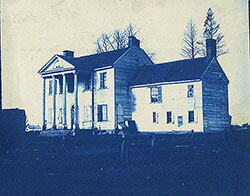 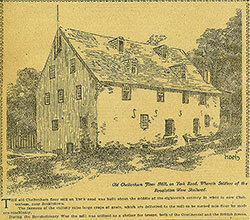 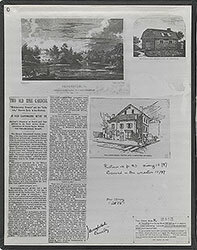 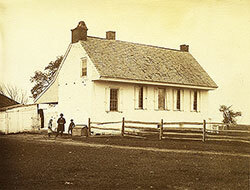 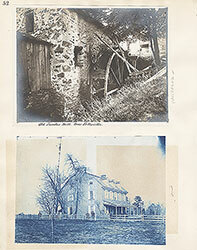 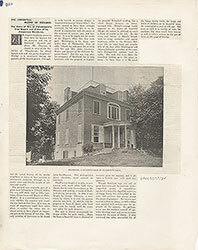 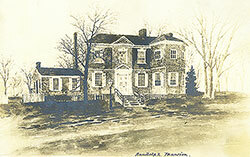 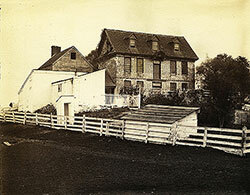 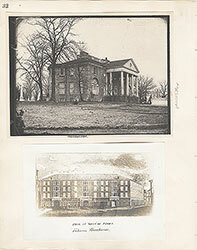 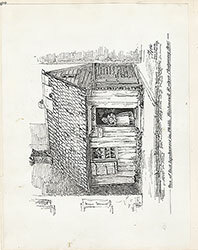 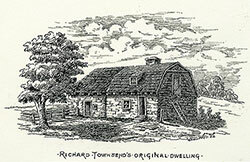 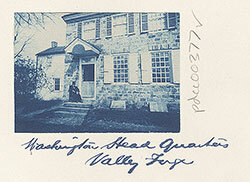 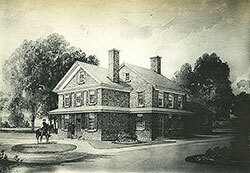 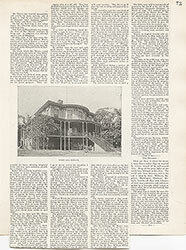 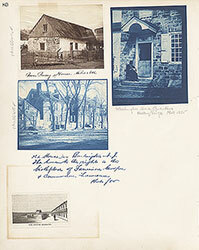 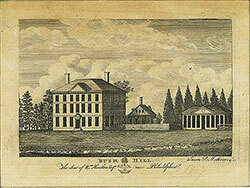 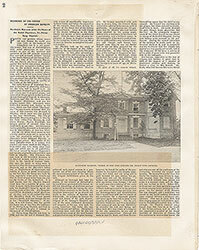 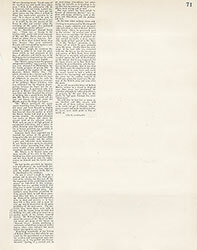 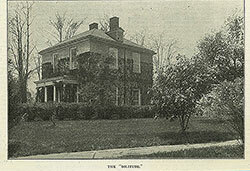 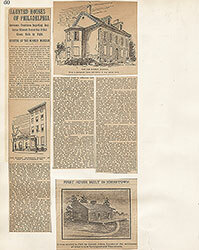 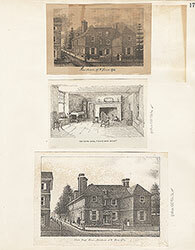 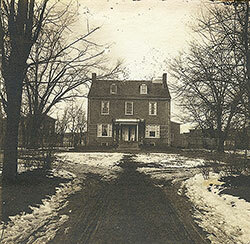 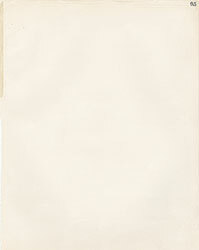 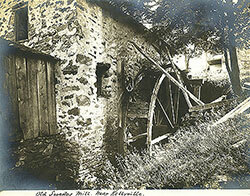 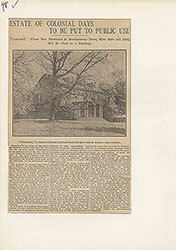 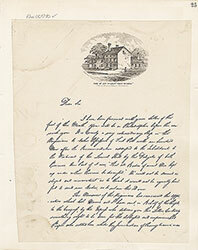 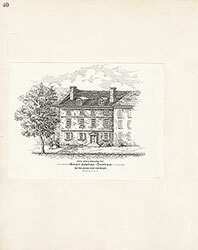 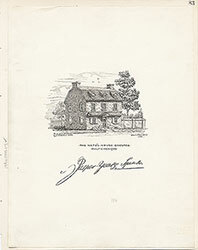 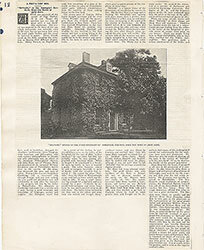 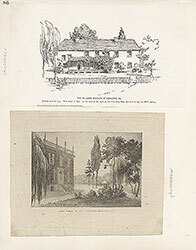 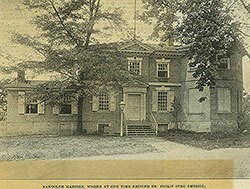 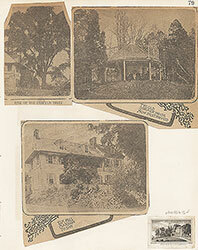 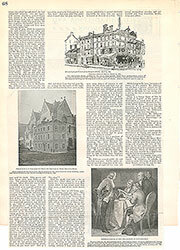 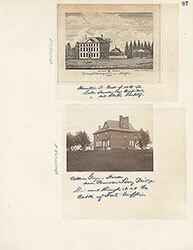 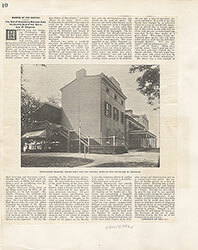 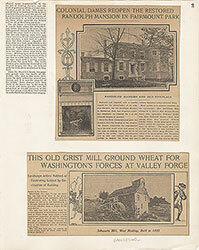 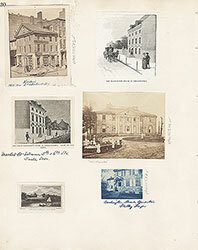 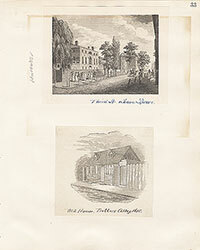 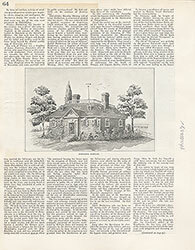 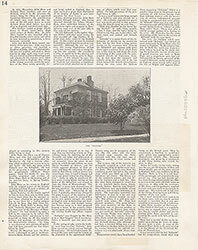 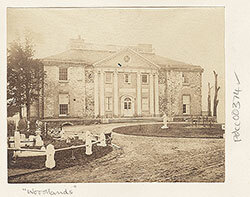 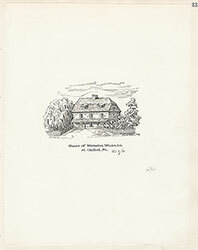 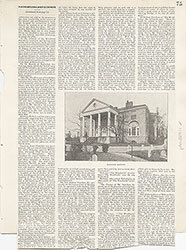 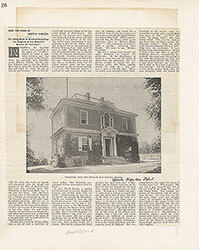 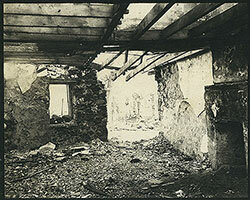 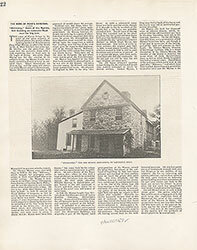 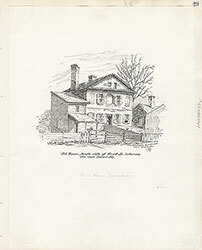 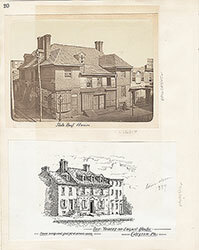 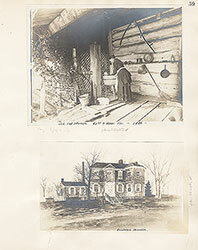 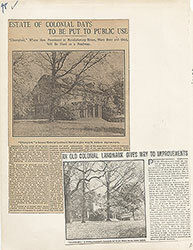 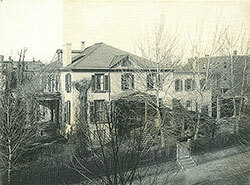 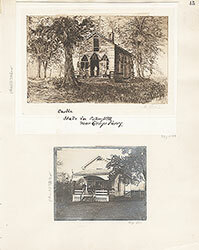 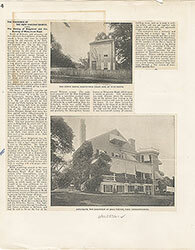 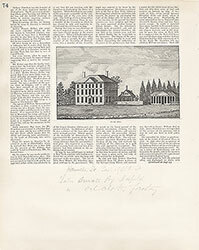 In 1887 it was moved to Andalusia, Nicholas Biddle's country estate on the banks of the Delaware River in Bucks County.